For short term, Hong Fok is now in our Buy zone which is near the support between 0.76 to 0.78 if putting stoploss at 0.75, our target price will be around 0.82, which is quite achievable. If you think it is still uptrend, then buying at support level should sound like a good idea right? 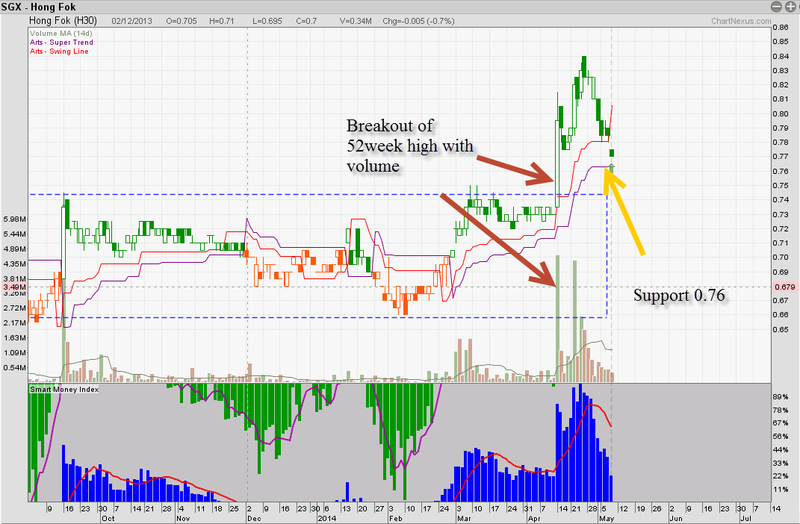 For weekly chart using our Supertrend system. 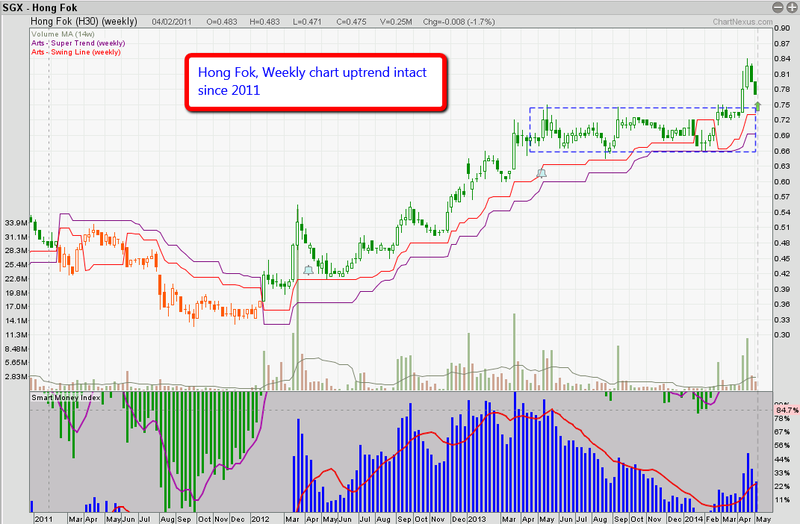 we see HongFok has been strong above the support level since 2011, now it is breaking out of the sideway consolidation zone in 2013.